The Sausalito wedding of Rita and Dan brought together two families – four daughters between them and even a grand daughter. A beautiful fall afternoon began with the groom welcoming guests, many who traveled from around the country, with French Champagne that was served in front of the church among the fruit trees and autumn leaves. Music from the 50’s played in the background. 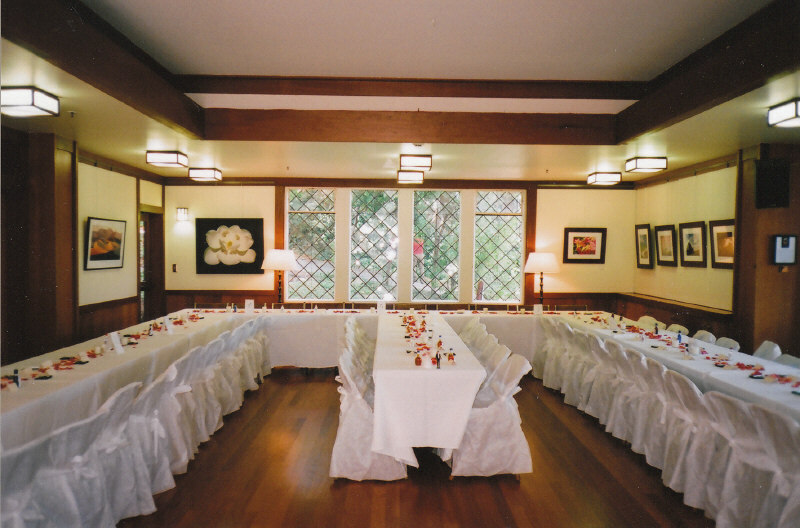 The ceremony and blessing of the marriage moved into the elegant sanctuary of Sausalito Presbyterian Church. The celebration continued with wine and hors d’oeuvres on the private patio. And a marvelous sit down dinner was served by Cater of Marin in the church’s Thomson Hall. Many stories, roasts and toasts about the couple followed into the night. There was lots of laughter remembering college days at Harvard. Rita and Dan have made a new home together in the hills of Sausalito.